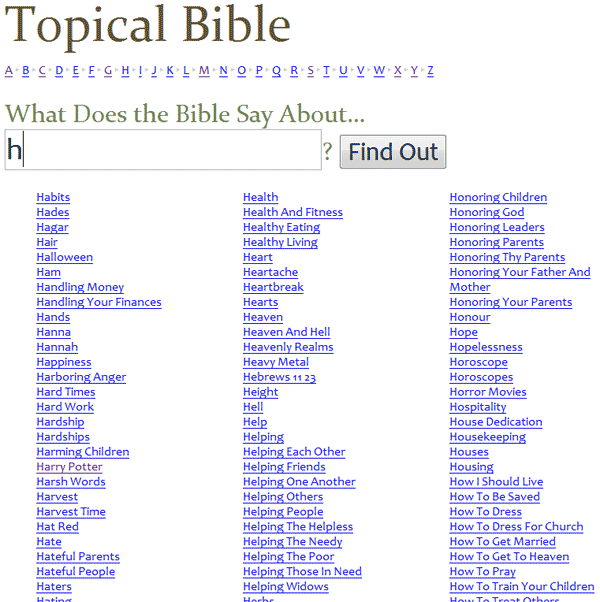 The topical Bible combines the Yahoo! and ESV Bible web services to identify topics and find relevant verses. It currently has about 4,000 topics. Searching for a topic that doesn’t exist will automatically add it to the topical Bible, which will then scour the Internet for relevant verses. You can vote on whether the listed verses are relevant to the topic—or you can suggest new verses. Over time, the topical Bible should become better at identifying what people think the Bible says about a topic. More technical details will follow, but I wanted to post it and let you try it out. It’s still a work-in-progress, but what isn’t these days? You are currently browsing the OpenBible.info Blog blog archives for June, 2007.